MOSSMAN (AUS) (Bay 1995-Stud 2000). 4 wins-2 at 2, QTC Queensland Classic, Gr.1. Leading Aust. Sire of 2YOs 2013-14. 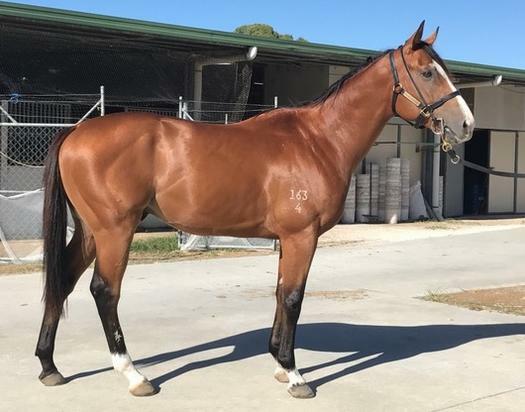 Sire of 600 rnrs, 421 wnrs, 35 SW, inc. Mossfun (ATC Golden Slipper S., Gr.1), Buffering, Ofcourseican, Plucky Belle, Miss Mossman, Love Conquers All, Our Sweet Moss, Neeson, Second Effort, Royal Zulu Warrior, Segments, Traitor, Pure Energy, Hopfgarten, Dothraki, Hoofit, Under the Eiffel, Triple Elegance, Stirling Grove, etc. Alexander Benjamin (g. by Domesday). Winner at 1100m in 2016-17 in Aust. RACING EIGHT - WONDER MOSSMAN (Mac.) (Mossman). Horse of the Year in Macau in 2013-14 & 2014-15. 16 wins from 1200m to 1800m to 2015-16 in Aust. and Macau, Macau Gold Cup, L-3 times, Macau Star of the Sand S., L, Winter Trophy, L, Sand Specialist S., L, Directors' Cup, L-twice, Spring Trophy, L, Duque de Caxias H., ATC Membership P., Macau Ballymoss H., Avondale H., Makati H., 2d Macau Star of the Sand S., L, Directors' Cup, L-twice, Macau Race Horse Owners Association Cup, ATC Australian Turf Club H., Royal Randwick on Youtube H., Macau Bochum H., Albury H., 3d Macau Derby, L, Macau Star of the Sand S., L, Macau Race Horse Owners Association Cup, ATC Tooheys New H., 4th Macau Sprint Trophy, L-twice, Macau Sand Specialist S., L.
Wonderworld. 2 wins. See above. Lucky Edie (Swiss Ace). 3 wins-1 at 2-to 1400m to 2015-16, Waikato RC Jorja's 12th Birthday H., 3d Wanganui Guineas, L, 4th Levin RC Ryder S., L.
Marmalady (Duke of Marmalade). 5 wins from 1600m to 2600m, R488,800, to 2015-16, Turffontein Premier Racing S., 2d Turffontein Yellowwood H., Gr.3, Durbanville Thank You for Your Support H., Turffontein Season's Greetings S., Racing. It's a Rush S., 3d Turffontein Caradoc Gold Cup, Gr.3, Spook Express H., L, Aquanaut H., L, 4th Turffontein Gerald Rosenberg S., Gr.2. RASMUSSEN (Flying Spur). 10 wins to 1350m, A$385,842, QTC Ascot H., L, BRC Superior Pak H., BTC FBAA National President H., Qld Tatt's RC Sky Channel H., BRC Paul Crooks Advertising H., BTC Lexus RX350 H., B Magazine H., QTC CPX Printing & Logistics H., 2d QTC Cup, Gr.2, QTC Bribie H., L, BRC Urban Brisbane Quality H., Zig Zag Foundation H., QTC Tooheys New H, Chime Zam P., 3d BRC Hotel Grand Yearlings at Magic Millions H., Cranbourne TC Frankston Cup, 4th GCTC Prime Minister's Cup, L.